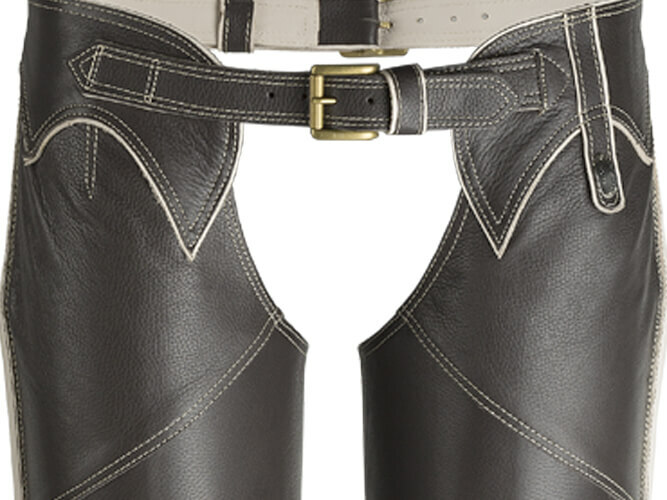 Entirely hand made Full Chaps made of genuine nappa leather tanned in Italy. 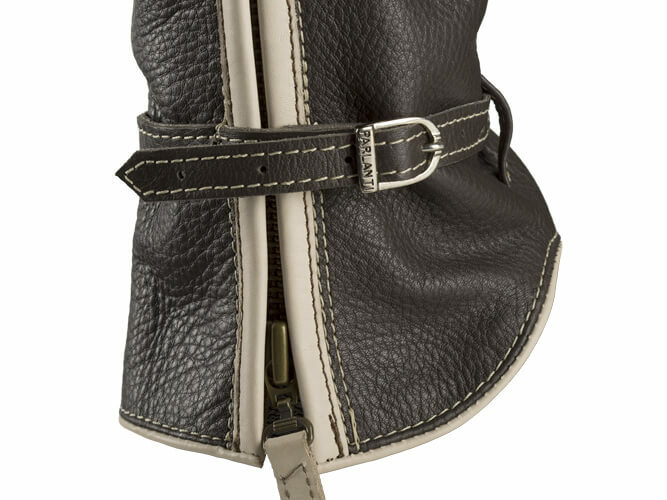 YKK® side zippers, double waist buckle and adjustable ankle straps. 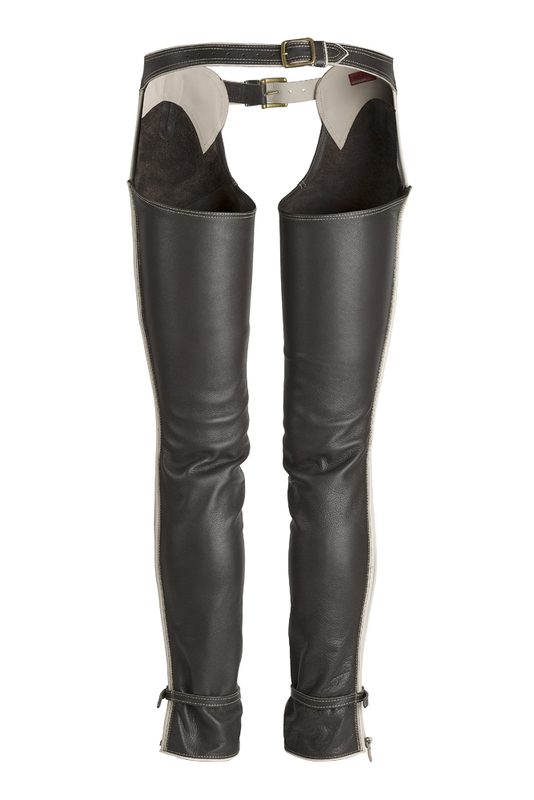 • Picture: ready to wear classic chaps in dark brown color with beige leather trims. Another of our “best sellers”. 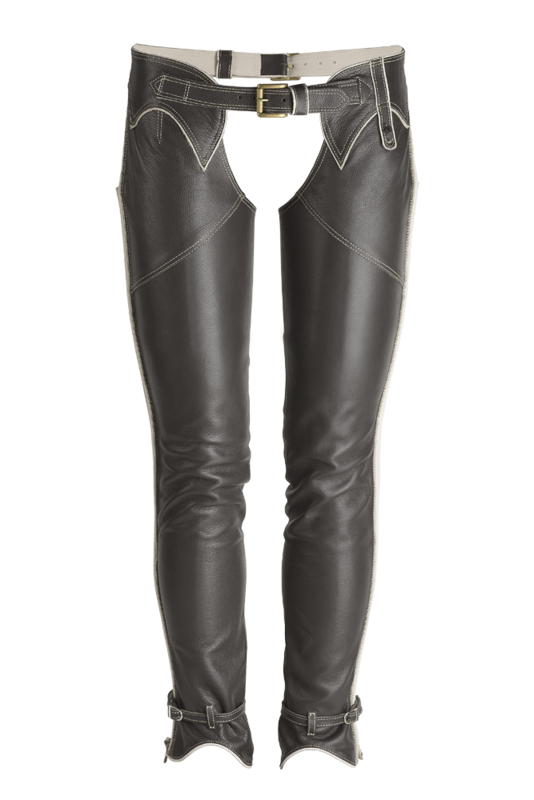 Made of soft nappa leather, the Parlanti Roma Full Chaps are a reference point for those who want a high quality technical product and the right protection for their legs. The extremely soft leg is at the same time flexible and durable, designed not to compromise the freedom of movement required when riding. 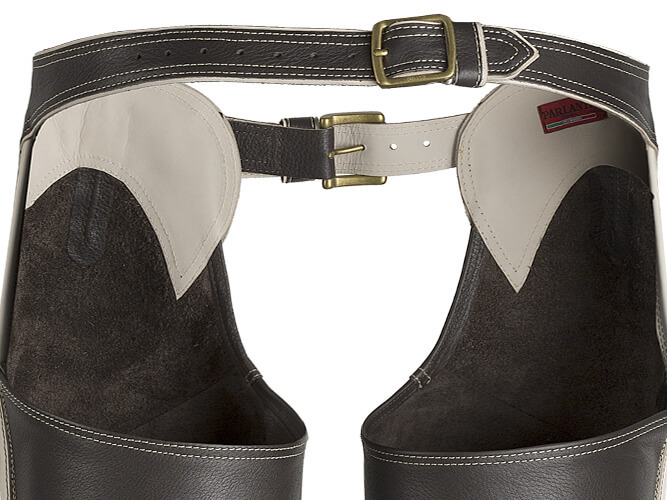 YKK® zippers along the legs and adjustable ankle straps to ensure long-lasting use and absolute comfort even after hours of work.